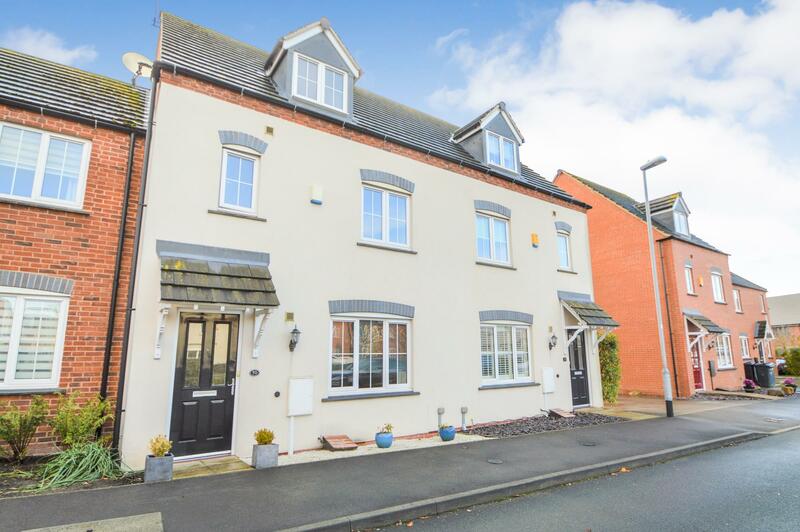 Benjamins are pleased to offer for sale with no chain, this beautifully presented four bedroom, three storey townhouse, situated in the well-established and popular residential village of Ruddington. Occupying a delightful position, this is an extremely well appointed Crest Nicholson Home and early viewing comes strongly recommended. Benefiting from UPVC double glazing throughout, the property comprises; entrance hall, living room, fitted kitchen and downstairs toilet. To the first floor, three bedrooms, modern family bathroom, gas central heating, Upvc double glazing. 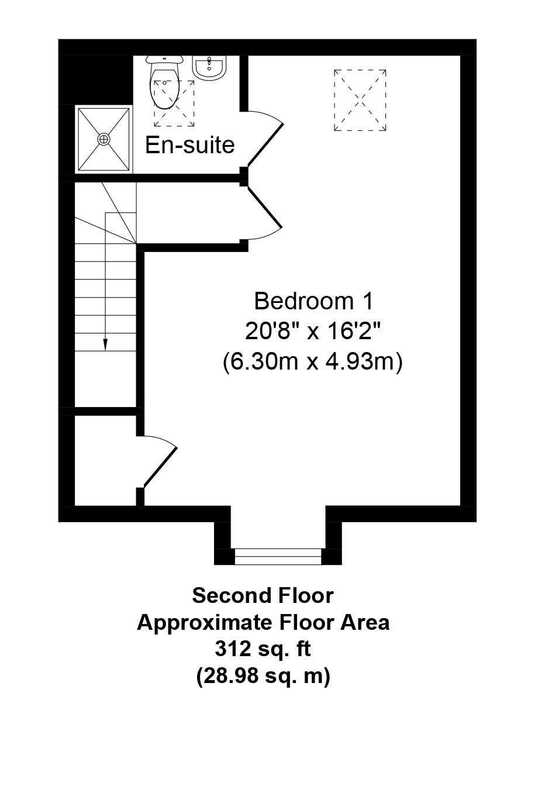 The Master bedroom and en-suite cover the entire third floor, with fitted wardrobes. This house also benefits from a detached garage and parking to the rear. A spacious living room with Upvc double glazed window to the front aspect, two radiators, ceiling light, television point, coving to ceiling, carpet to floor and door leading to the kitchen. A spacious fitted kitchen with a range of modern wall and base units, tiled splash backs, one and a half bowl stainless steel sink and drainer with mixer tap,, under cupboard lighting , stainless steel Bosch cooker hood, stainless steel Bosch gas hob, stainless steel Bosch integrated electric double oven, integrated fridge / freezer, ceramic floor tiles, plumbing for washing machine and dishwasher, spot lights, ceiling lights, single radiator, Upvc double glazed window to the rear and Upvc double glazed French doors leading to the conservatory. With Upvc double glazed windows and doors to the rear aspect, radiator, tiled flooring and ceiling and wall lights. Radiator, wash hand basin with tiled splash backs and chrome mixer taps, w/c, tiled flooring and ceiling light. Radiator and ceiling light. Stairs to the second floor and doors to bedrooms and family bathroom. Upvc double glazed window to the rear aspect, single light fitting, single radiator, carpet to floor. 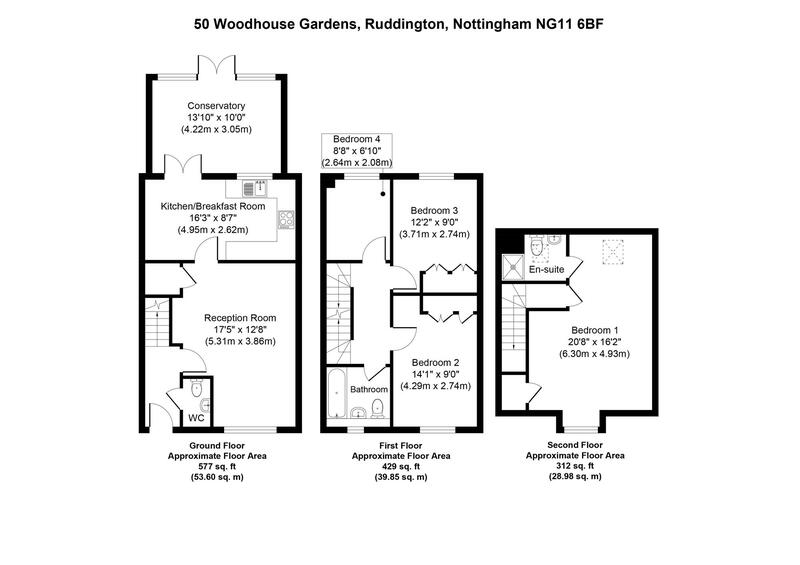 With Upvc double glazed window to the front aspect and fitted with a white three piece suite comprising panelled bath with shower over and mixer taps, part tiled walls and feature mirrored wall, wash hand basin with chrome mixer taps, w/c, , shaver point and tile effect flooring. 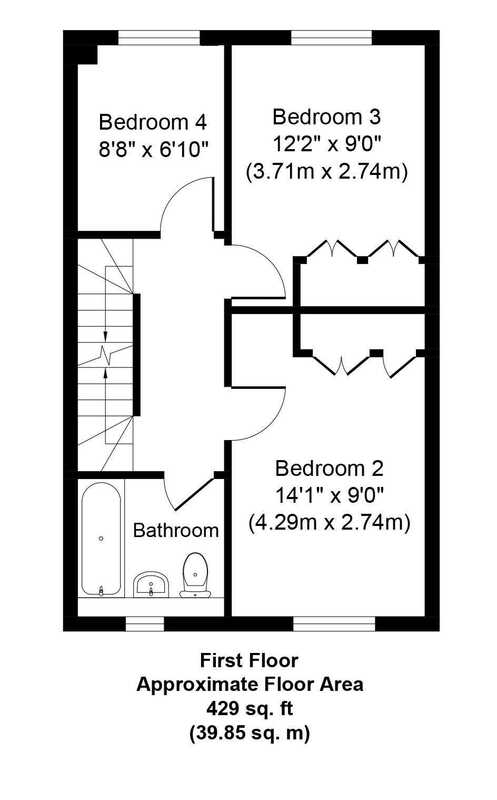 Velux double glazed window, white suite comprising fitted shower with glass door, wash hand basin with chrome mixer tap, w/c, part tiled walls, radiator vinyl flooring. There is a rear easily maintained garden with planted borders and gated access to parking and DETACHED GARAGE.